Here you can find videos on the Oral Health Assessment Tool (OHAT). The first link (full video) is a compilation of the subsequent videos. Click on any of the titles below to expand the corresponding video. 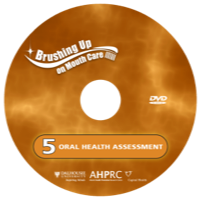 Note: Daily Assessments - OHAT (11 min) is not included in the Oral Health Assessment - Full Video (32 min).